I received my dell xps 13 (9360) this week and I'm overall really happy with it. This gotta be probably one of the best notebooks I've ever had, hands down! However one thing that is bothering me immensely is that the track/touchpad is pretty unusable. It's seems that the mouse cursor is frozen, no matter in which direction i'm going.... the only thing that is then working is navigating through the touch screen or using a mouse (bluetooth or wired). Does this happen to anyone else as well? I've also noticed that I can re-produce this error. Whenever I need to enter something in a textbox (browser searchbar, etc...) and then try to navigate away on the touchpad it's frozen! I'm happy to provide any logs that you might regard as helpful! Thank you once again for creating such a kick-*** laptop. 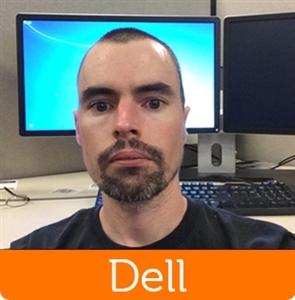 Kudos to everyone at Dell! Thanks! I posted about a trackpad issue just a few minutes before you. Mine will sort of freeze, but also seems to think I'm doing gestures and will start switching applications or scrolling a window instead of moving the cursor. Haven't found the cause of it yet... only had my system about an hour now. I didn't experience exactly your symptoms (or maybe I did, but I was so angry I don't remember), but my touchpad was mostly unusable until I blacklisted the psmouse driver. I have had psmouse blacklisted since I did my own install on my 9360. Blacklisting it was advised back on the 9350 and was on the Arch wiki for the laptop for a while. Unfortunately, my erratic behavior with it has persisted. Someone had mentioned some 3 finger trackpad taps take care of it, but not quite for me. I have found if I put the laptop to sleep and then wake it back up, it clears it up for a while. However I generally just find the 9350 a far more usable machine. My 9360 is past the return period, unfortunately. I may send it in for service, but wouldn't expect much, or will add it to my pile of forgotten hardware. That sounds extremely frustrating. I really hope you don't have to add it to the pile of forgotten hardware (at least every few months see if a kernel update fixes something?). Is using a USB mouse that much of a pain? If you do that, can you turn the trackpad completely off so it doesn't cause any of the trouble you mentioned? Don't lose hope! Something has to work! Best of luck and best wishes. I've been extremely frustrated with the trackpad ever since I got my 9360. First thing I tried was to blacklist psmouse, but the trackpad still intermittently stopped working. I really should've returned it at this point, but I thought I'd stick it out and would find someway to make it work if I scoured the internet enough. I eventually created a workaround script that makes the machine actually usable, but unfortunately, it still isn't quite reliable enough to bring to work or anything...just more for tinkering until I get frustrated! I put these commands into a little shell script that I run every time it stops working and it seems to reset the trackpad. Unfortunately it doesn't always persist very long and I end up having to run it several times. and use the output from this of the name of the device as the string in the script below. Hope this helps, until someone else finds a more permanent solution. I'm still under the assumption that this is not actually a hardware issue, but I haven't necessarily proven that assumption. Do you still need assistance? If so, send me a friend request and we'll start a support case together. sometimes. can't get a support request as the diagnostics dell want me to use is an exe file..